MasterServer - It's Server WHICH send IP address and Detailed Stats About game to game Servers. 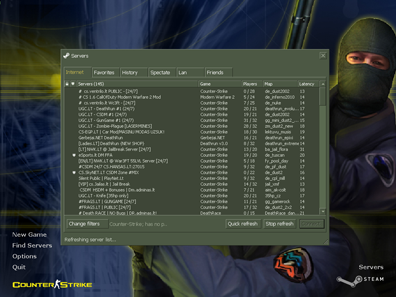 When you will Connect, you will be Able to search Counter-Strike 1.6 Servers from our Server system in your game client. Every our added server automaticly to [MasterServer]. It's Most Effective way to Increase Counter-Strike 1.6 Server Popularity. 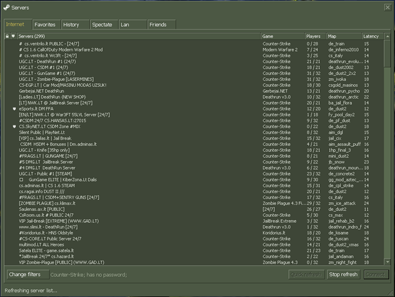 Dowload this Counter-Strike 1.6 STANDART game client installation, It has No ads, No game changes and Protected from AutoConnect, and Other slowhack changes. Copy MasterServers.vdf Directory to config Replace old to New. If file masterserver2.vdf is in the Same Folder, then you Should Replace Either it. Game Server Stats, Multiplayer Server Rank, Online Server List and Server Banners.